Last week I reviewed the DVD of From the New World Part 1, and found it to be a very agreeable series, recommending at the end of the review that the Blu-ray might be preferable. During the week, as the first Blu-rays fell into the hands of fans, it became clear that all wasn’t well with the hi-def release, with the final episode on disc 2 having a noticeable sound sync error. This has been traced back to Hanabee’s authoring (the US release from Sentai is fine), while a couple of dud discs have also been reported, failing to play altogether. It’s unclear as yet whether Hanabee will address the fault, and as MVM are reliant on the Australian company for their discs, UK fans will also have to hold their breaths. Two anime reviews last week, beginning with the latest addition to the Monogatari franchise, the story that just keeps on giving. 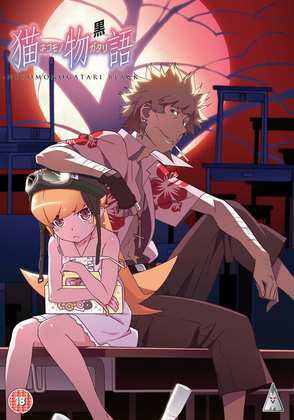 As I type, we have the second season lined up for UK home video release beginning this winter, while being broadcast in Japan in the next few weeks, and streaming on Crunchyroll as well is the next instalment, Hanamonogatari. Nekomonogatari Black is the OVA series that takes us almost to the beginning, before the events of Bakemonogatari, but after Koyomi Araragi’s adventures as a vampire, when Tsubasa Hanekawa first became a cat girl. Meow! 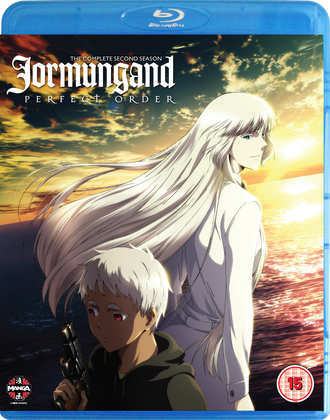 Nekomonogatari Black comes out on DVD and Blu-ray courtesy of MVM today, while it’s Manga Entertainment who release Jormungand Perfect Order today, again on Blu-ray and DVD.